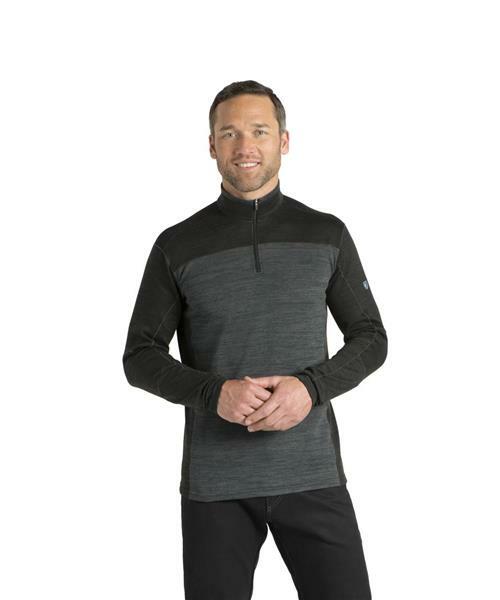 The KÜHL Kobra™ features a brushed sweater-knit fabric with great breathability. Perfect for activity, the Kobra wicks extremely well, and the fabric has a touch of stretch for comfort. With DYNAMIK™ stitching and KÜHL’s exclusive articulated 5-panel sleeves for better range of motion. Cuff’s feature KÜHL’s signature thumb loops. A NOTE ON ORDERING: Please order one size up. If you normally order a size SMALL please consider ordering a size MEDIUM.